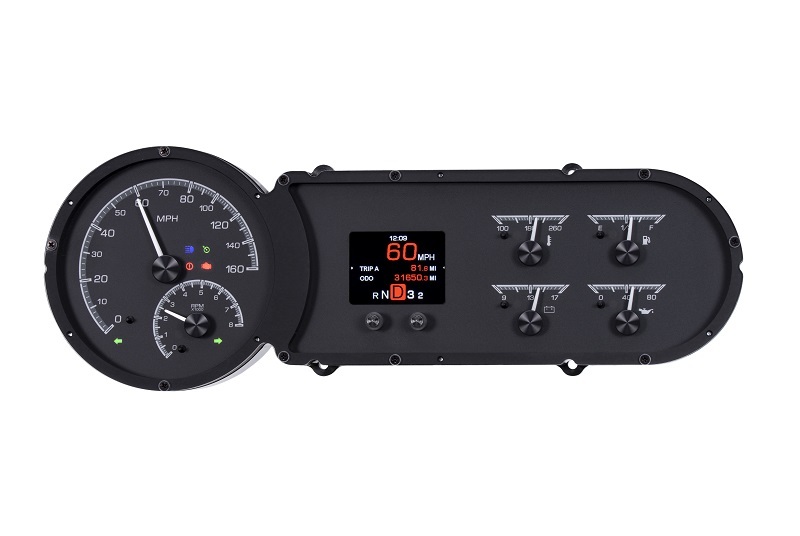 One large TFT message center is flanked by six analog instruments nestled into a machined housing designed to fit a stock instrument bezel (bezel is not included). 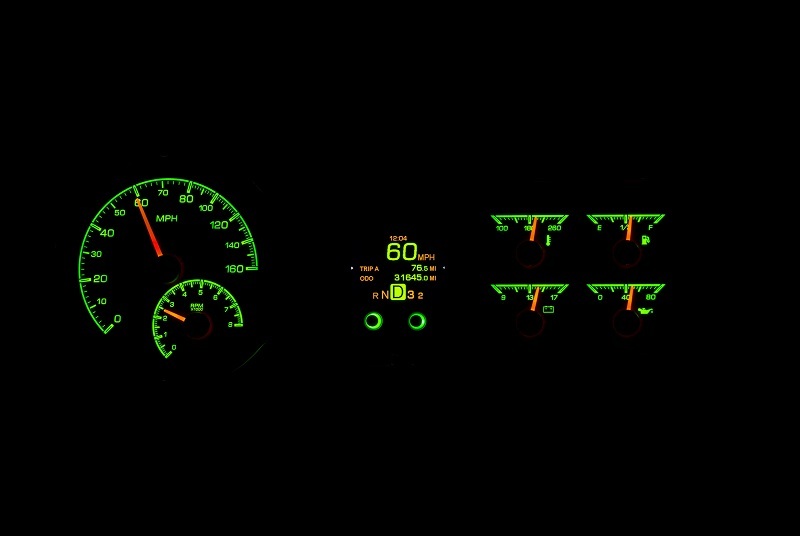 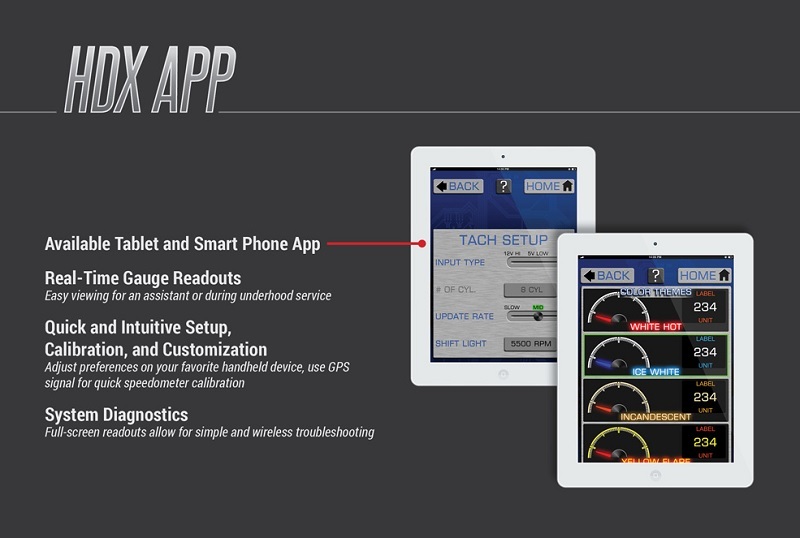 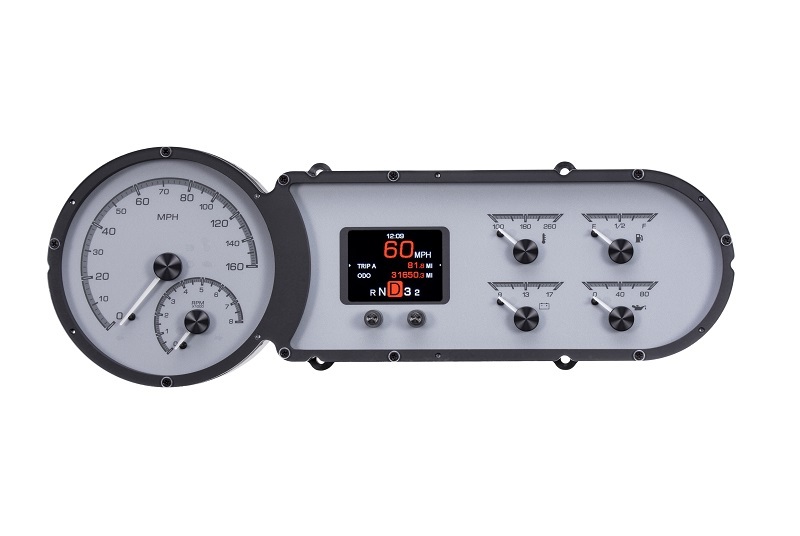 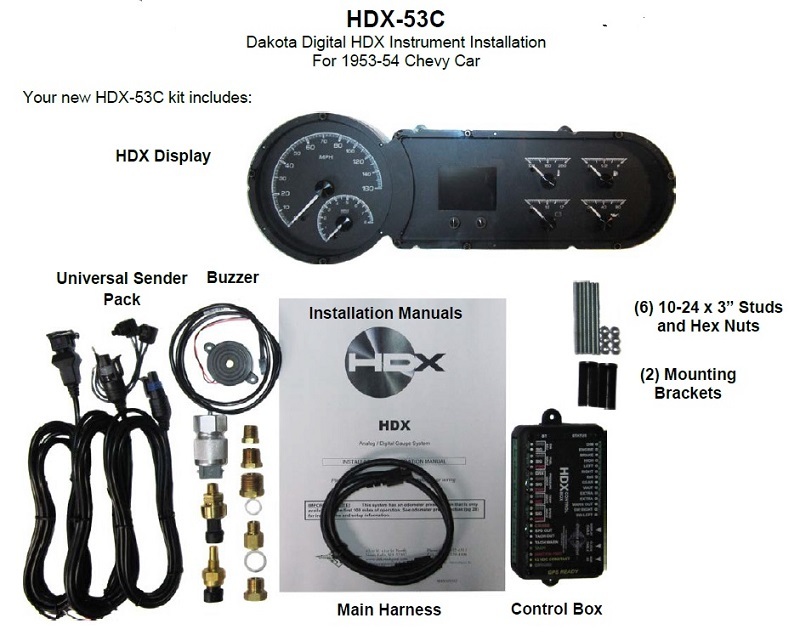 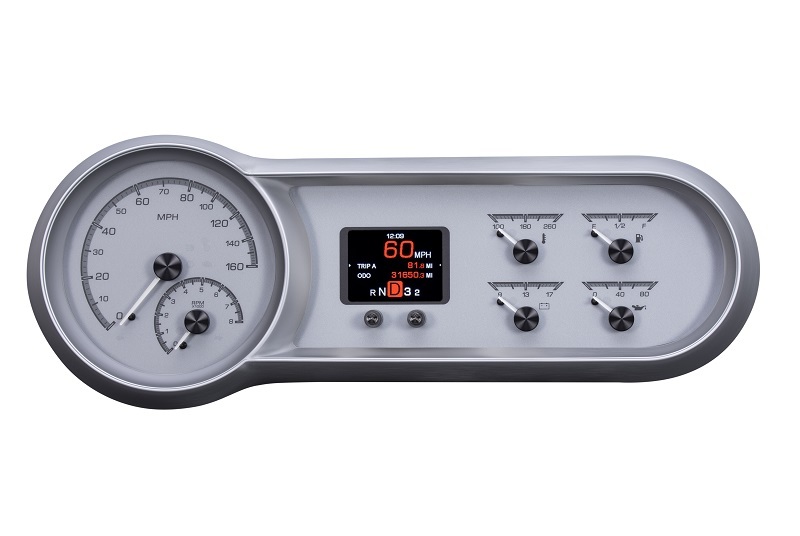 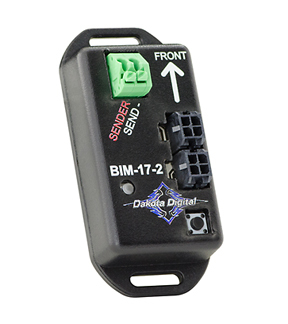 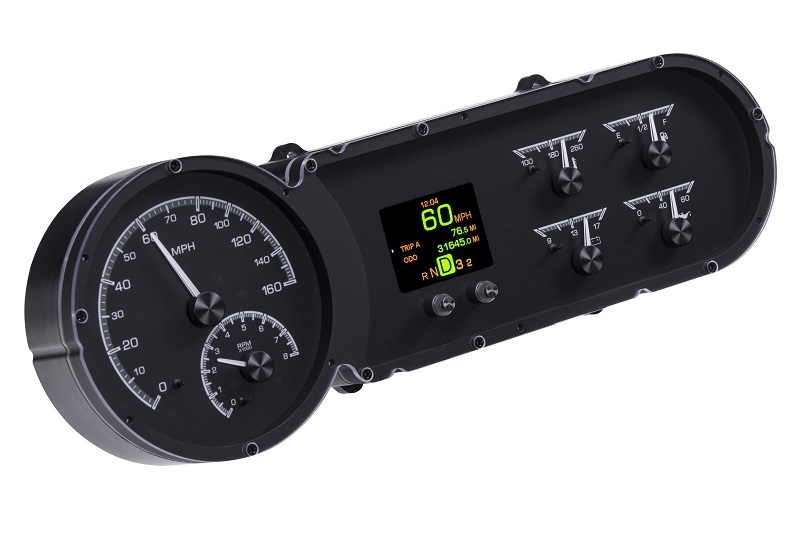 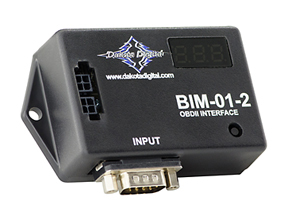 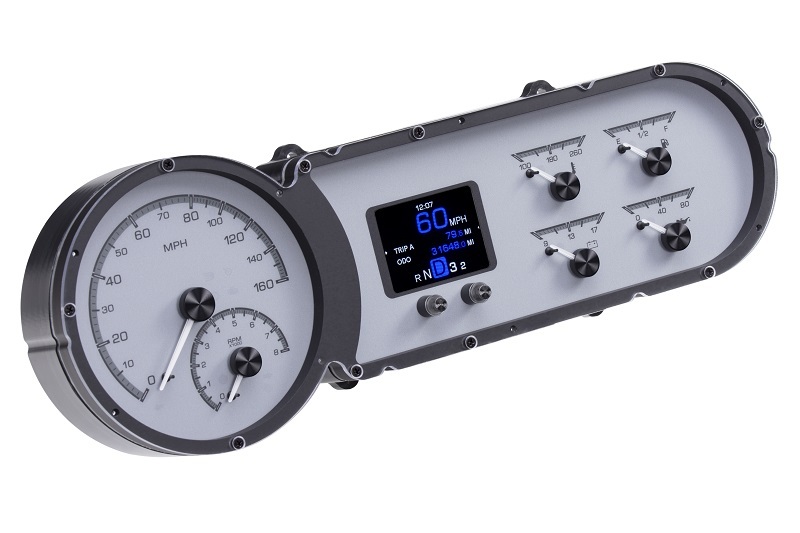 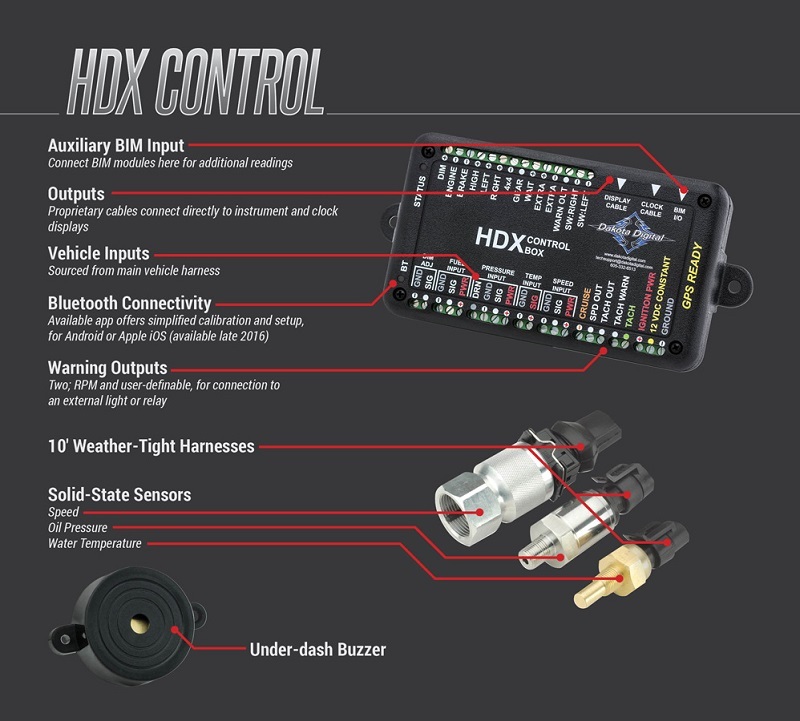 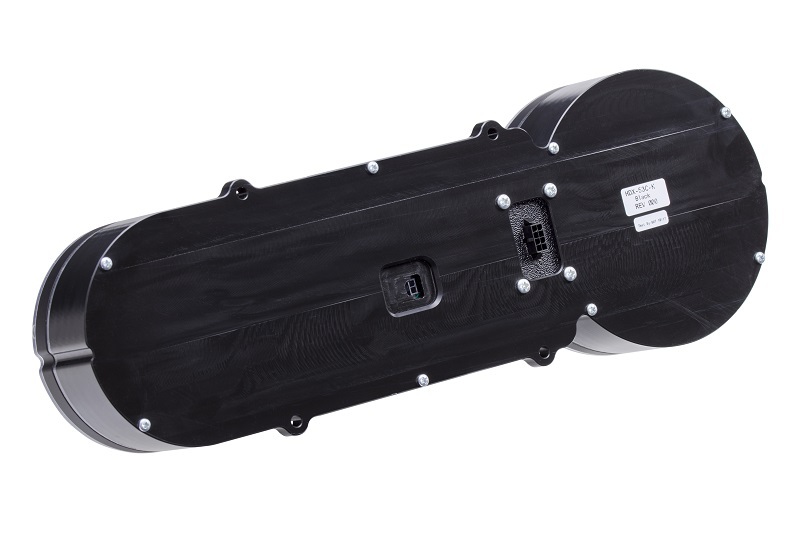 After opening up a small section in your stock dash, this all-in-one instrumentation solution fits right in! 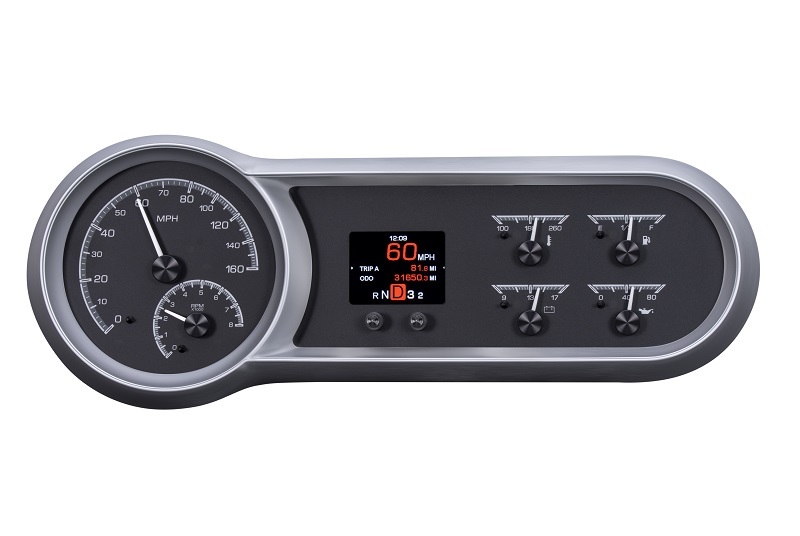 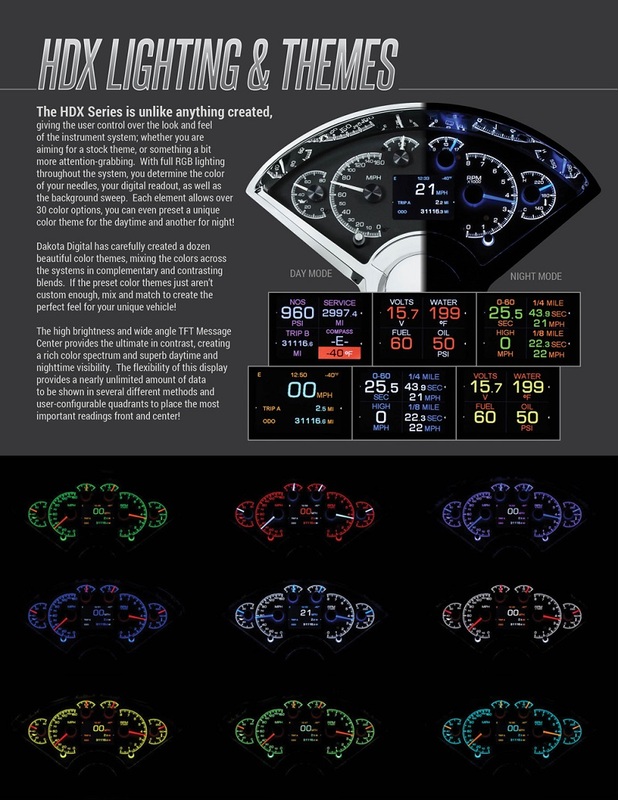 This 6-gauge system includes a new, machined rear gauge housing, attaching directly to the backside of the stock front dash bezel. 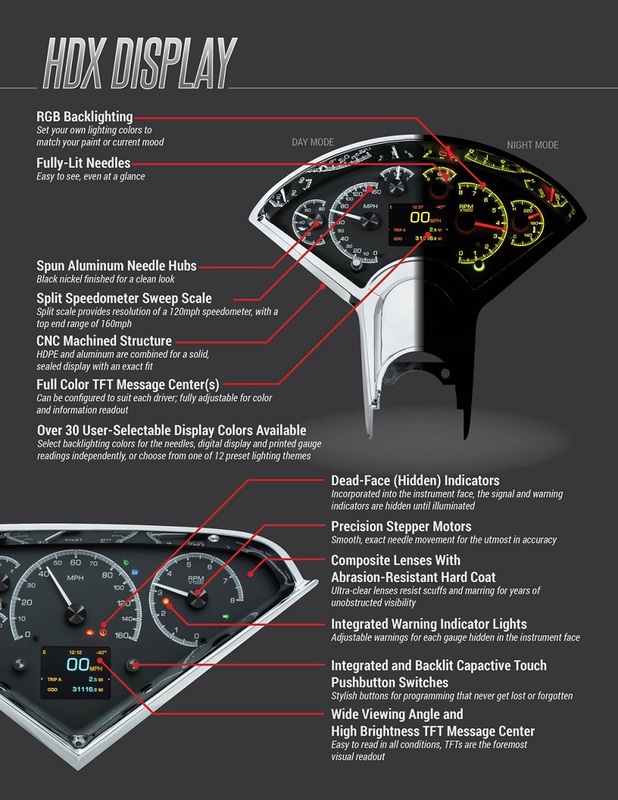 Hidden behind this assembly, the stock steel dash will require trimming for clearance.